Organized by the North American Lighting Engineering Association and the International Lighting Design Association, LIGHTFAIR INTERNATIONAL has been successfully held for 28 sessions. 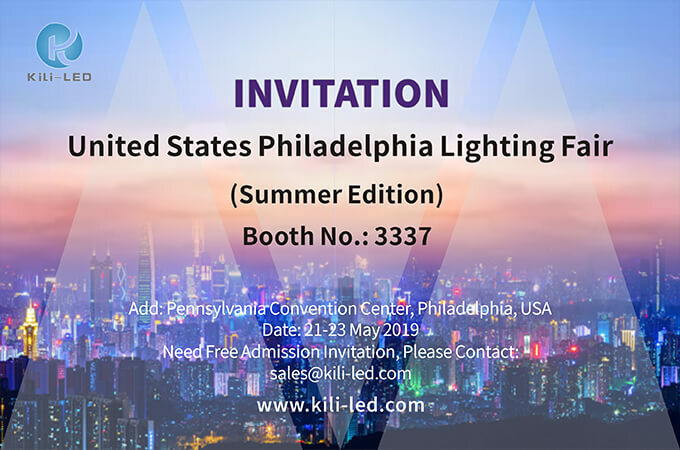 It is currently a large-scale exhibition in the United States, a concentrated international lighting exhibition, and a global exhibition of the influential lighting industry. LFI is held annually in Las Vegas, New York, San Diego, Philadelphia and other places. It is a North American lighting industry event. KiLi-LED participates in the LFI exhibition every year, and this year is no exception. KiLi-LED team are looking forward to meeting you at the LFI. Limited quantity, Please contact as soon as possible.